In addition to magazines, TV shows and social platforms offer outdoor living ideas and inspiration. 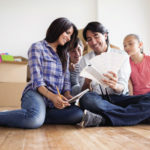 There are also a number of online tools designed to help guide you through the planning process. They provide a user-friendly way to experiment with various deck configurations and design combinations. Tools can help you choose the right materials for your project and design a customized outdoor living space before ever raising a hammer. 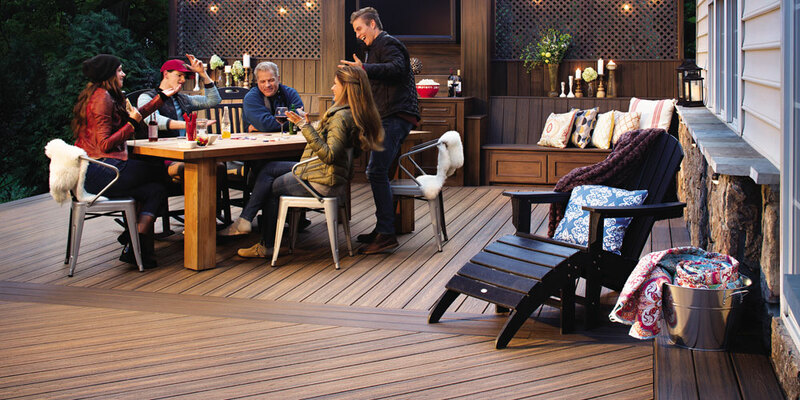 Have fun exploring the many design elements that are available for customizing your deck. Things like built-in seating, planters and storage, as well as add-ons such as a pergola or outdoor furniture, which can add comfort, character and convenience to your outdoor living space. Further personalize your space with a variety of deck and landscape lighting fixtures. Set up path lights to brighten walkways and use spotlights to showcase trees and architectural features. Easy to install and energy efficient landscape lighting can help keep your outdoor enjoyment going long after the sun goes down. New home construction services from initial planning, development and budgeting through construction, management and owner occupancy. We know it takes a little something extra to do truly great work, and there’s a little something extra in every remodeling project we deliver. For everything from small roof leaks to major failures in existing claddings and membranes, we’re fully equipped for immediate damage mitigation, and will expertly guide you from there all the way through the finished restoration process. At SBS, innovation doesn’t occur solely in the design and construction phases. We pride ourselves on being on time, on budget, and available to clients at all times. There are a variety of approaches to solving every different waterproofing challenge, but SBS specializes in finding the best one for your particular situation. The expertise and knowledge of our experienced architects, developers, and builders extends into every aspect of our services, including residential and commercial roofing for Houston and across its suburbs. At SBS we never treat all home repair projects the same, and we will take the time to find out precisely what you want. We will review all of your needs and produce a detailed cost analysis report to help you make the best decisions for your home repair.